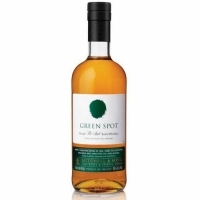 A unique bonded Irish whiskey that just arrived in the U. S. , made by Irish Distillers Ltd. It's aged in old American oak bourbon barrels and sherry barrels for eight to nine years. With aromas of citrus, particularly orange peel, it tastes slightly yeasty and nutty with tropical fruit -- banana bread!